At the very beginning of time, everything was still being sorted out. The camel didn’t yet have a hump, the elephant’s long nose was just a little bump… and the rhinoceros didn’t even have his skin! So how did they get them? Go back to the dawn of the world and see! 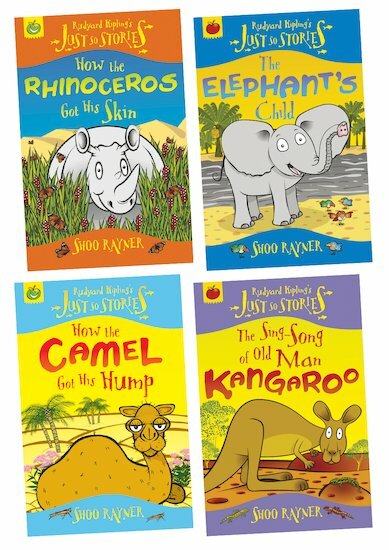 Inspired by Indian and African fables, Rudyard Kipling’s timeless stories are retold in vivid read-alone books bursting with exciting language and jungle imagery.